Selfies rule, and if you’re a camera company, you’d better hop on this train or risk going the way of the compact disc. 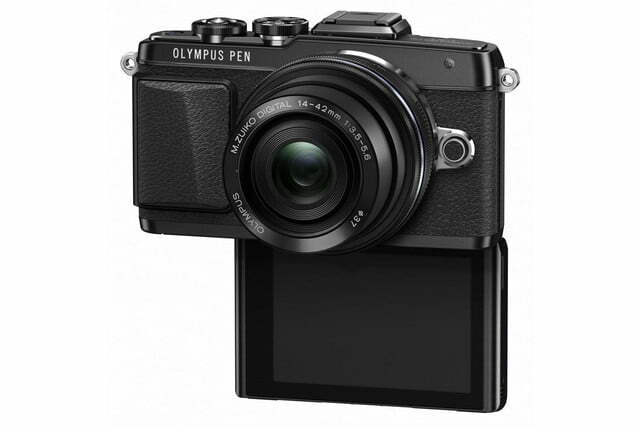 Enter the just announced Olympus PEN E-PL7 mirrorless Micro Four Thirds camera with a touchscreen LCD that flips into the perfect position for taking self-portraits by the ton. 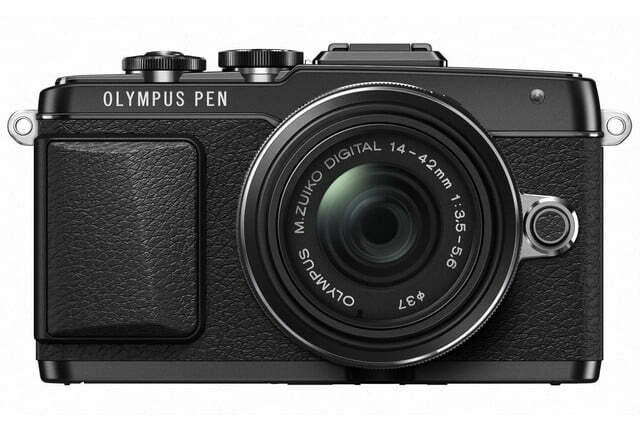 Resting in the middle of the PEN lineup, it costs $599 for the body only or $699 with a 14-42mm f/3.5-5.6 II R zoom lens; arrival time is mid-September. 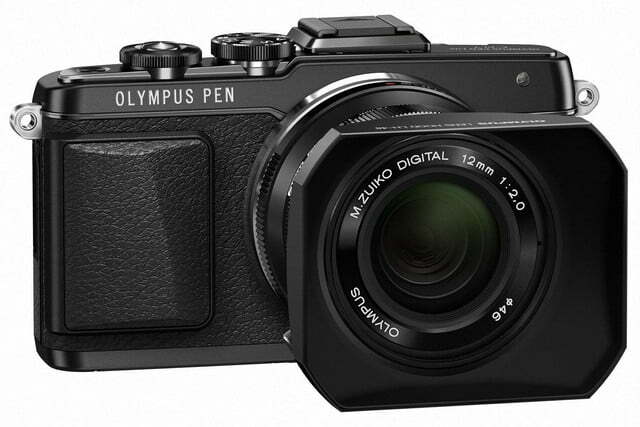 Also new is a black M. Zuiko 12mm prime lens for $799, which is due any day now. Taking selfies with the new PEN is really simple. Just flip the LCD 180-degrees down so it’s facing you and it turns into a mirror display. 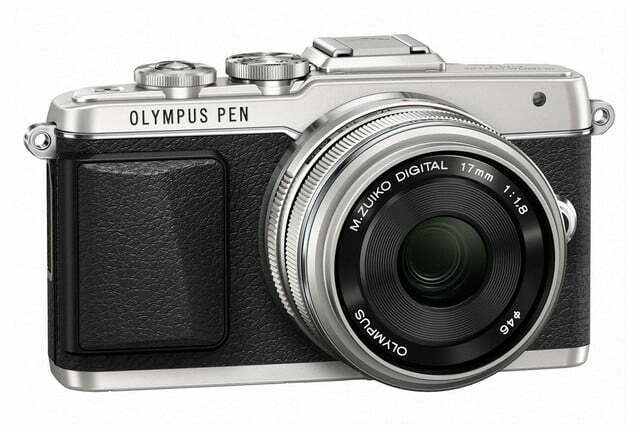 All you have to do is press the virtual shutter button on the touchscreen and you’re good to go. If you pick the Selfie interval-shooting mode, three shots will be taken one-second apart so you and your friends can mug for the camera. The E-PL7 has built-in Wi-Fi and easily pairs with your smartphone using QR codes (just scan it and the setup process is taken care of). We’ve always liked this setup, so we’re sure sharing selfies – and other images – will be a breeze. 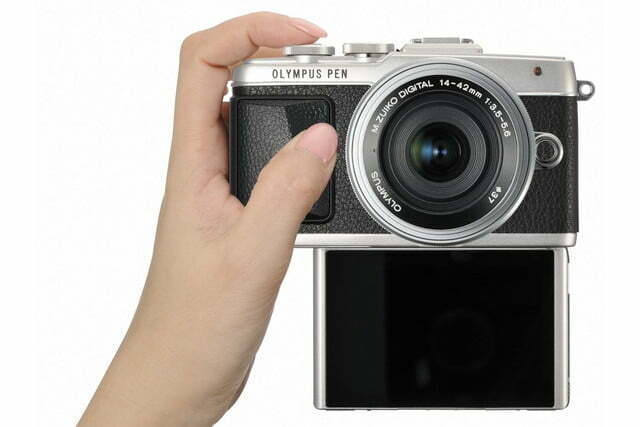 Olympus also announced it has updated its OI.Share app to version 2.4 with additional remote control capability and the ability to shoot movies, as well as stills and geo-tag your shots. 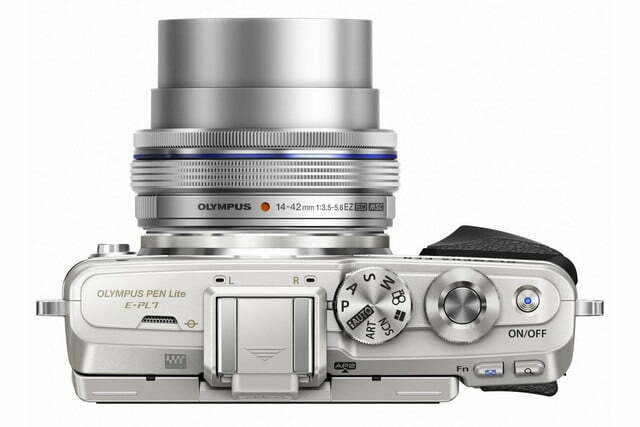 Beyond selfies, the new E-PL7 is a nice interchangeable lens camera using the Micro Four Thirds format. 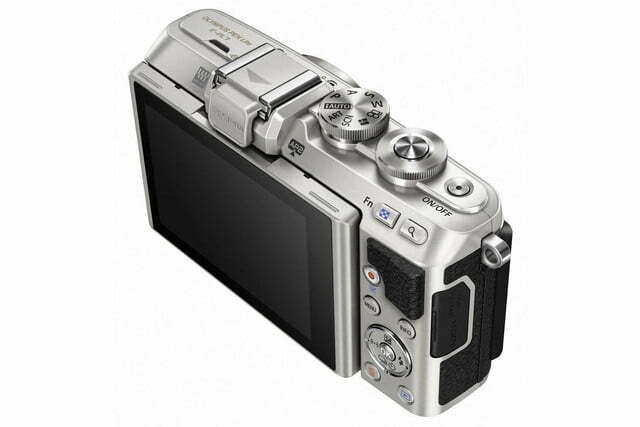 Its main competitors are the Panasonic Lumix GF6, Sony Alpha 5100, and Samsung NX300. 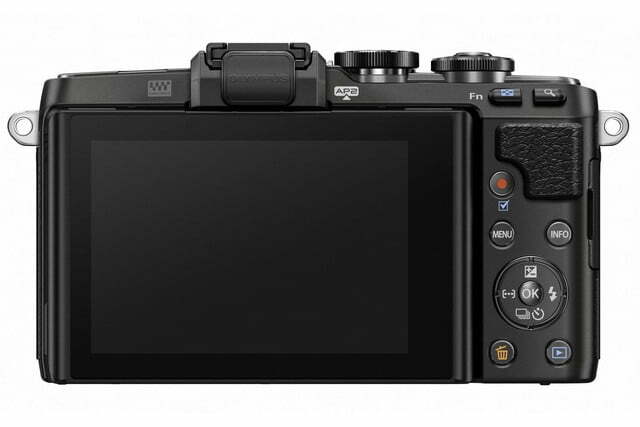 Technology from the higher-end OM-D series has trickled down here including a 16.05-megapixel Live MOS sensor, TruePic VII processor, and the in-body 3-axis Voice Coil Motor (VCM) stabilization system found in the OM-D E-M10. 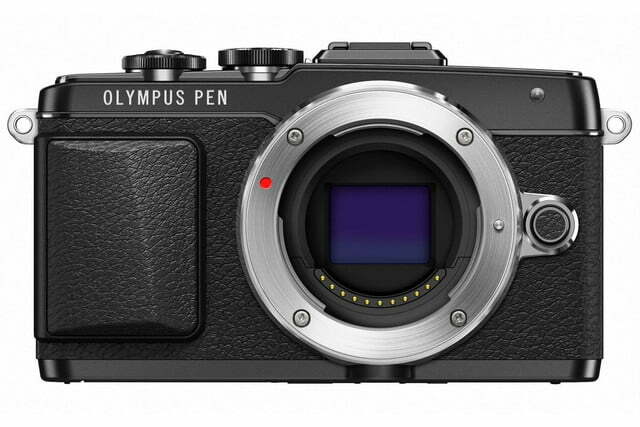 Olympus claims this camera has the “fastest-ever” AF system that grabs 8 frames per second (fps) but the more accurate Continuous Auto Focus with Tracking brings it down to 3.5 fps, a good but not great number. One spec that is quite good is the 81-point AF system so focus grabbing should really be a non-issue. The new camera also has a number of new Art Filters including Vintage and Partial Color. Overall, the E-PL7 has a good feature set for a sub-$700 camera including shutter speeds of 60-1/4,000th of a second, ISOs of 100-25,600, a 3-inch tilting monitor with 1,037K dots, and, of course, 16MP stills (JPEG/RAW). Where the camera lags is movie resolution, which is 1080/30p MOV files; most new models are Full HD 1080/60p. 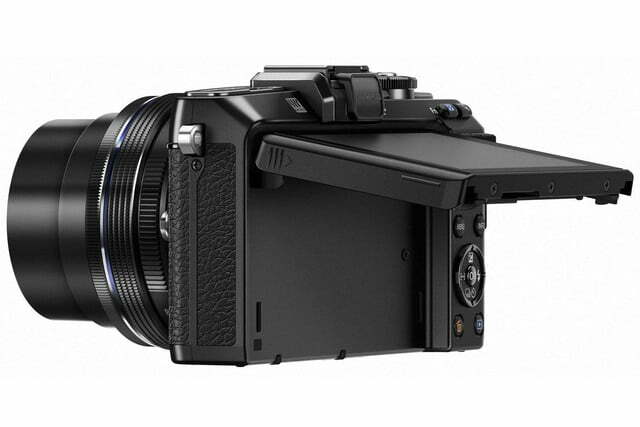 Shutterbugs, take note: We’re entering the period before the Photokina camera trade show in Cologne, Germany, which opens September 16. There will be new products unveiled for the IFA show in Berlin that takes place before it, but stay tuned for the even bigger announcements from all the major players as they unveil their latest gear to coincide with the huge bi-annual event.